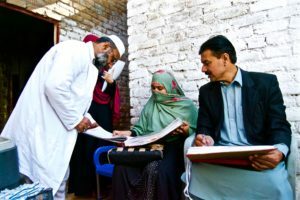 “I feel our collective productivity has improved manifold, ever since we started working together with the Community Based Vaccinators from the polio eradication programme,” says Syed Mussayab Shah, a tone of pride in his voice. 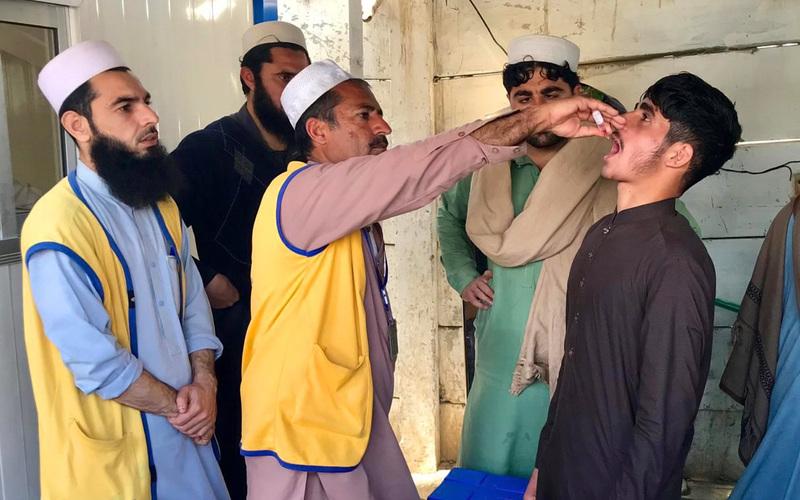 Shah is a vaccinator with the Expanded Programme of Immunization, posted at Gulbahar Civil Dispensary, Peshawar district, Khyber Pakhtunkhwa. 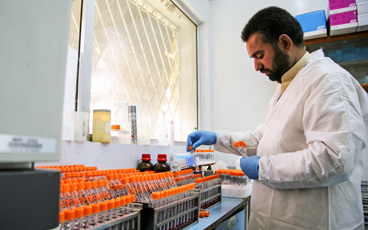 He is responsible for immunizing children against nine vaccine-preventable childhood diseases. Where families live in concrete housing units in urban slums, access to health care is a persistent challenge. The urban slums are often unrecognized, lack essential infrastructure and are low priority for local health authorities. 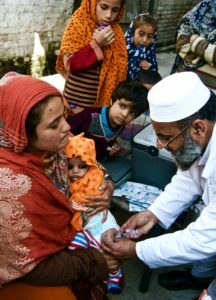 This translates into low and unequitable coverage of social services in urban areas – including vaccination. Pakistan is the most urbanized country in South Asia and the population living in urban slums continues to increase. The urban population has risen from an estimated 43 million in 1998 to 73 million in 2014. In Peshawar, increased migration is an additional challenge, making it the sixth biggest city in the country. The challenge of identifying and vaccinating children living in urban areas, especially those living in slums and migrant families, is demanding innovation and skill sharing. 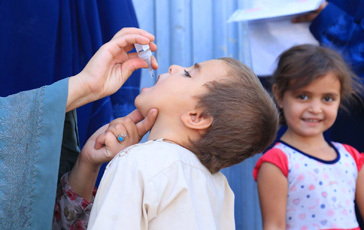 The teamwork between the polio eradication team and the Expanded Programme for Immunization is ensuring everyone benefits – especially children who urgently need the protection offered by vaccines. The Civil Dispensary is the only government health facility in the area that caters not only to the residents of Gulbahar but also those living in adjoining slums. Community-based polio vaccinators from local areas come to this health facility to sit side by side with their colleagues from the broader vaccination programme to review their field books containing the housing maps and vaccination details of every single child under five in their areas. 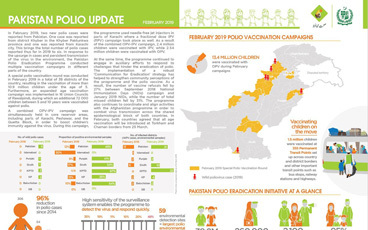 Microplans, containing this detailed information of local communities, are a valuable tool of the polio eradication programme. From this essential information, routine vaccinators make a list of unvaccinated children for follow-up who might be falling through the cracks. The polio vaccinators also refer clients from their communities to the health facility to receive their other routine vaccines. 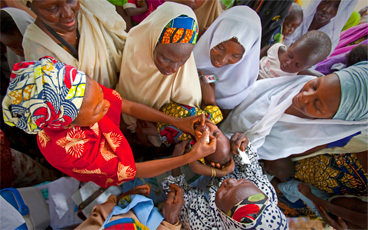 This collaboration is game changing for the drive to protect every last child against vaccine preventable disease. 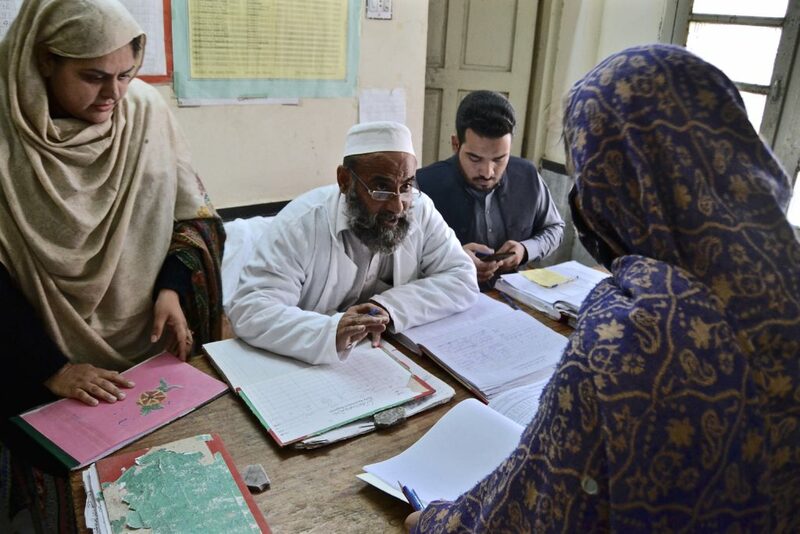 “Record keeping of families in urban slums is a very difficult job,” shares Tabassum Shuaib, a polio community-based vaccinator from Peera Gaib, Peshawar.